Resistance Radio had the pleasure of sitting down with former Dutch special forces commando, Liberty Defender member and European rep, Willem Felderhof (please see podcast below). Jack Sen and Willem spoke about their shared fear that Europe is embarking on a dangerous path that will ultimately lead to mass unrest and possible civil war, as has been seen in France and Willem Felderhofs native Holland. Willem told Jack that "the Netherlands, like most other European countries, is no longer a sovereign country as it has hijacked and occupied by imperialistic forces hell bent on replacing the European people for their own material and financial gain." Because Willem travels extensively between European nations he has a good view of the alarming deteriorating conditions European societies are enduring. They discuss how heroic men like Pim Fortuyn - the renowned Dutch nationalist assassinated by an Islamist Deep State operative - have been replaced by controlled opposition leading our people to holding pens until conflict begins. 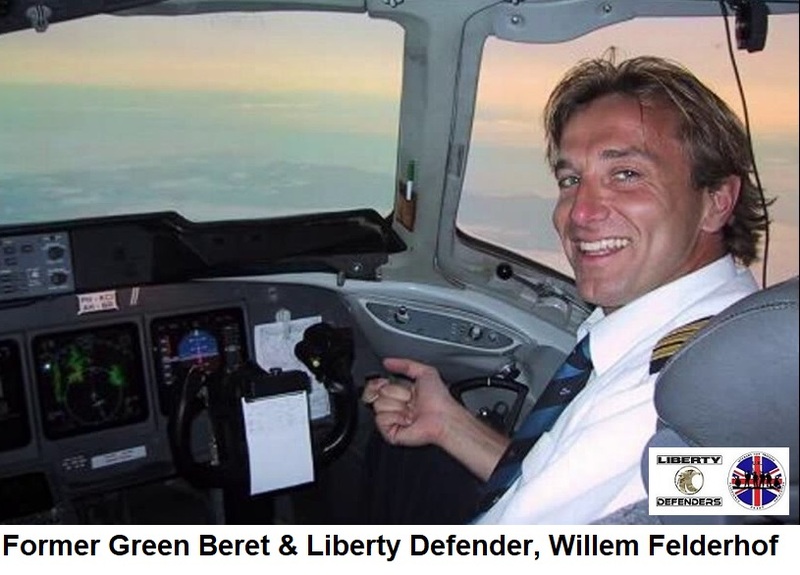 Willem is a former commercial airline pilot, captain and former Dutch Green Beret. He is also a nationalist and founder of Holland's largest nationalist and free speech event. Before commencing his career as an airline pilot Willem served in the Dutch Military with the special forces and was rewarded with the Green Beret after finishing his initial commando training in December 1985. During his time flying missions to Kosovo and then as a commercial airline pilot with Lufthansa, Willem logged tens of thousands of hours in the air before his health started to deteriorate. It was at this point Willem decided to do something about it. Willem was one of the first people in the commercial aviation industry to speak out about the presence of toxic nerve gas (and this has been scientifically documented) and other dangerous noxious volatile organic compounds entering the cabin through the air-conditioning systems in modern airplanes. Not only are we subjected to civil rights violations and vast quantities of radiation before boarding planes, people flying often are treated to a cocktail of poisons, the trillion pound industry hides. 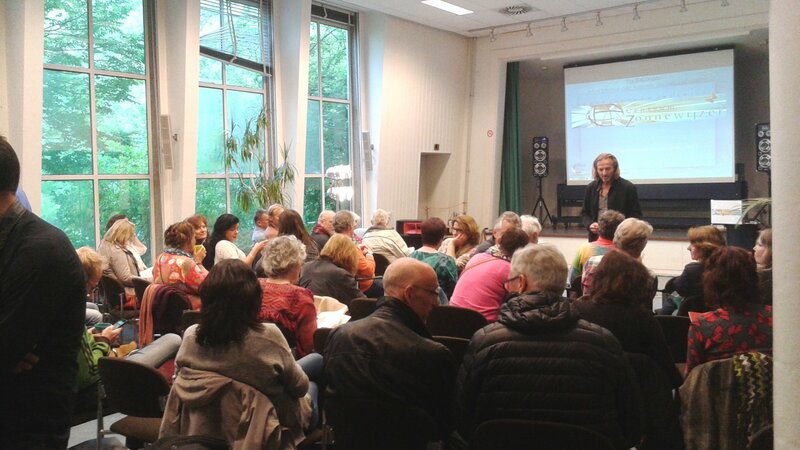 After a long battle with the airline industry Willem left the aviation industry and started to expand his activism to other area’s, which resulted in his organizing of the “Open Mind Conferences” free speech events he set up in the Netherlands. This is in fact where his road to our cause began. He has appeared in countless documentaries and programs Holland and around the world. Willem now focuses on combatting Globalism and exposing the elites hijacking our democracies through his conferences and activism. As a Dutch citizen Willem is very concerned with the direction his country, all of western Europe is headed. The Netherlands, like most other European countries, is no longer a sovereign country as it has hijacked and occupied by imperialistic forces hell bent on replacing the European peopel for their own material and financial gain. Although Willem is Dutch, he has lived in France for the past 12 years. Because he travels extensively between European nations Willem has a good view of the alarming deteriorating conditions European societies are enduring. He is here to speak about this and other issues.